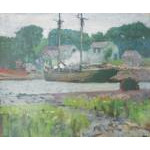 Fisherman's Cove is a beautiful oil on board by Henry Snell. The painting measures 13 1/2 x 12 1/2 inches and is in an original frame by famed New Hope framemaker, Ben Badura. Henry Snell was one of the earliest members of the New Hope Circle. 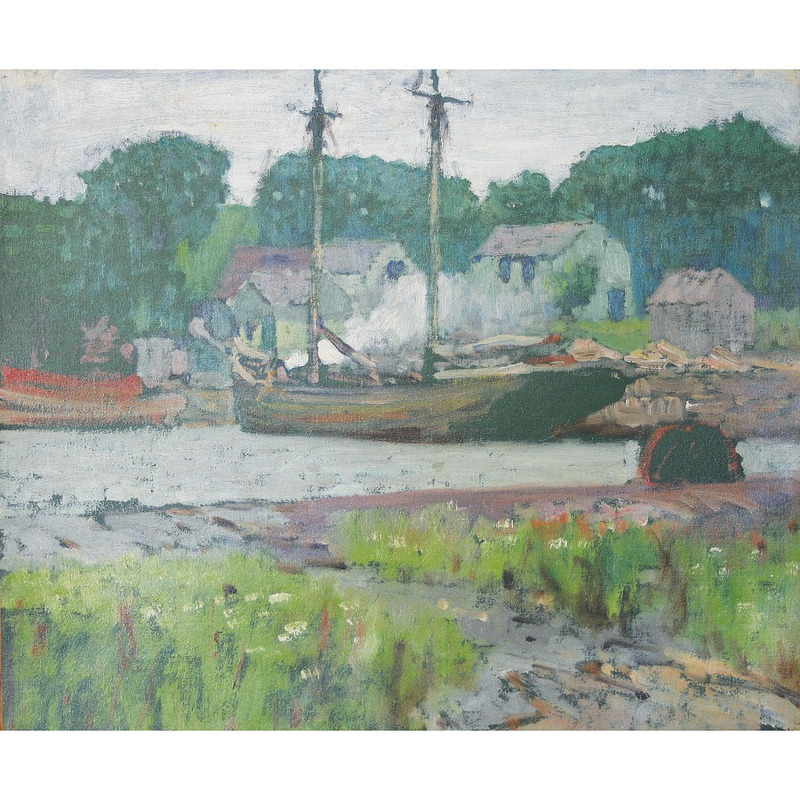 He met fellow New Hope painter, William Lathrop, while the two worked together at a etching and engraving company in New York City. Snell was an influential teacher the Philadelphia School of Design for Women, now Moore College of Art and Design. He instructed artists such as Cora Brooks, Constance Cochrane, Fern Coppedge and Isabel Cartwright among many others.